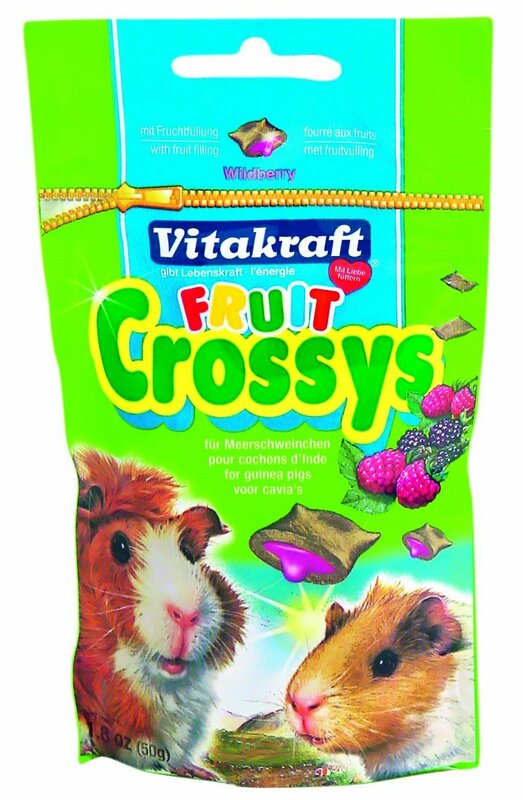 Vitakraft Fruit Crossys are tasty crunchy treats for guinea pigs which have fruity fillings which are rich in nutrients. Below are some recent questions we've received regarding Vitakraft Fruit Crossys Guinea Pig Treats, including answers from our team. Due to the size of the Fruit Crossys for Guinea Pigs, they may be too large to be given as a treat to most hamsters. Instead you could try the Fruit Crossys for Hamsters.